These loupes are all metal with fused triplet glass optics. 18mm minimum diameter. Some are chrome plated, others are black painted. They all work exactly the same. 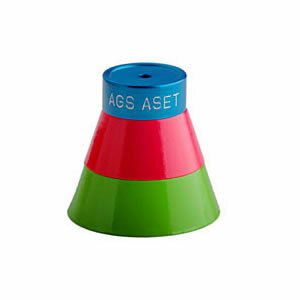 We shop the market to get the best available value regardless of painted or plated surface color. You will have these for a lifetime of use. The 10x is suitable for any industry professional to examine and grade diamonds and colored gems. 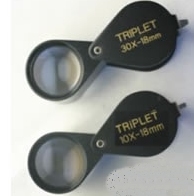 The 30x is excellent for detection of the smallest of inclusions and allows easy reading of any size laser inscription. Select either one or both. The 10x is $12 and the 30x is $15. Order both for $26.